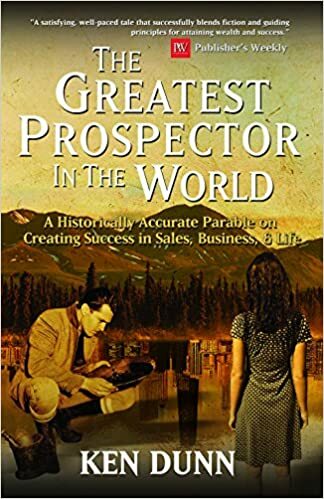 The Greatest Prospector was an interesting book to read and review as in my opinion, it doesn't fit any regular category. The book is written as a simple story - an easy to read read tale, a modern day parable. From that perspective I would place it int the tween/teen category. BUT the purpose of the book is to share six secrets to success in sales which is something of interest to many working in that industry. They are strong principles for anyone involved in this demanding career, but told by following the story of a girl guided by her uncle from a young age through womanhood. So who is the audience this book is aimed at? There are several things about the book that stand out as positives. The six principles are well thought out, solid offerings that will transcend changes in the industry. As a woman, I enjoyed the choice to have a female lead character and that it started with her as a young girl and followed her journey to becoming a successful business woman. As this story was set at a time when women were generally stay at home wives and mothers is an added bonus. The message that women CAN and DO succeed in business cannot be repeated enough for me. And lastly, easy to read is always good as most involved in this career are busy. In the end, I think I would recommend this book for women entrepreneurs just starting out. It's an enjoyable book you can dive into after a hard day, the principles are basic lessons that are gold standards for anyone working in sales.